from westernbuddhistreview.com: Traditional Buddhist sources have little to say about Nature in the often abstract and romanticized sense in which we use the word today, and still less to say about ecology understood in contemporary scientific terms. Why then is there so much interest in Buddhism among environmental ethicists and activists? And why so much concern for environmentalism among contemporary Buddhists both Asian and Western? In the latter half of the twentieth century the problem of environmental degradation has become increasingly the focus of both philosophers and theologians, many of whom see in this particular manifestation of human delusion a crisis more ethical and spiritual than technological. As we in the West re-examine our own religious and philosophical traditions, seeking both an etiology and a solution to the current predicament, it is hardly surprising that many have sought to mine the traditions of Asia to see what alternative perspectives they might offer. 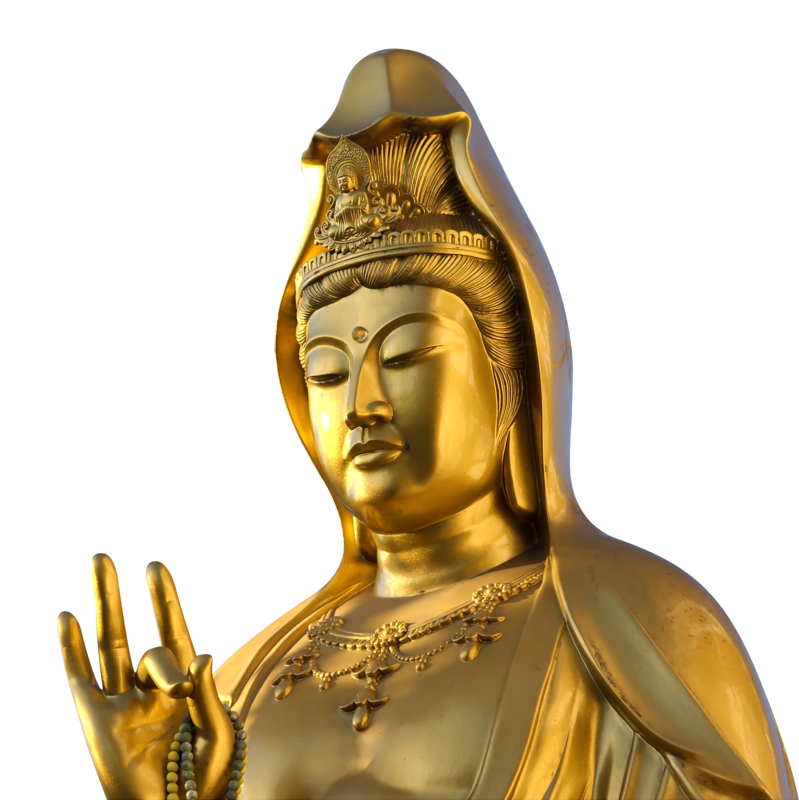 Buddhism has provided this quest with a particularly rich, if sometimes ambivalent vein of reflections and values, expressing a fundamental attitude of compassion and non-injury, yet also a seemingly anthropocentric perspective in its valorization of human consciousness as a necessary requisite for the universal goal of enlightenment. Clearly Buddhism offers a different approach to the environmental problem, and we—Buddhists and non-Buddhists alike—have only begun to fully appreciate what this tradition can add to current efforts to transform our attitudes towards the world in which we live. Western thought and Western ethical theories in particular have tended to begin with some notion of the person as an autonomous, rational individual. The first thing to note about the Buddhist conception of ethical agency is that it posits a notion of the self that is both dynamic and developmental. Taken together these key features of Buddhist thought present a radically different notion of the ethical self, one that challenges Western assumptions of both rationality and autonomy. Buddhist ethics and soteriology do indeed require a significant integrity or coherence of personal identity, yet that identity or individuality of the self is seen as a dynamic karmic continuity rather than as an essential ontological substantiality—as an ongoing process rather than an underlying thing. And this dynamic nature of the self is seen, moreover, as significantly teleological or developmental, in that it includes the potential for (and perhaps even inevitability of) change directed towards a distinct transformative goal, one with both soteriological and ethical dimensions. The Buddha was much more concerned to characterize the nature of the self in terms of its end or purpose than in terms of its original cause, seeing the latter question as one of those "unanswerable" (avyaak.rta) questions that are not conducive to the task at hand, namely the realization of one’s potential for enlightenment and the elimination of suffering. Both these features of the Buddhist conception of the self, the dynamic and the developmental, have significant implications for the relationship of that self to the rest of existence including nature and the environment. But before considering these implications, we must first explore more carefully how Buddhists have traditionally framed their understanding of the self. Perhaps the single most distinctive and radical of the Buddha’s teachings was the notion of the non-substantiality of the self, the doctrine referred to in the Pali scriptures as anattaa (Sanskrit: anaatman) and usually rendered in English as the view of "no-self" or "non-self." As an corollary of the principle of conditionality (pratiitya-samutpaada) and as one of the three marks of samsaric existence (along with impermanence and unsatisfactoriness), the doctrine of the nonsubsantiality of the self lies at the very of heart of the Dharma. With the emergence of modern scientific notions of change and indeterminacy it is easy to loose sight of just how radical this idea would have seemed in the Buddha’s day. The notion of an essential, enduring, and immutable "self" (aatman or jiiva) lying at the core of personal identity was one of the central themes of the diverse Upanishadic speculations characteristic of the Age of the Wanderers into which the Buddha was born. While other thinkers of this period also challenged the notion of an essential or substantial self, the Buddha’s rejection of an aatman was unique in that, unlike the skeptics and materialists of his day, he simultaneously maintained a notion of ethical or karmic continuity, one that persisted not just throughout the life of the individual, but over multiple lifetimes as well. Indeed the Buddha went so far as to assert that his notion of "no-self" was actually necessary to sustain any theory of ethical continuity and efficacy over time. But how then was this continuity to be secured? How could actions performed in the past effect consequences at some point in the future? Those among the Buddha’s contemporaries who accepted the continuity of karmic efficacy over time felt that it would be quite impossible without a substantial and immutable essence or aatman to which the karmic accretions could accrue. If there was no aatman, they reasoned, there was nothing that would hold together the series of lives (or even moments within a life for that matter). There would be literally nothing to be "reincarnated," nothing that could carry the karmic impurities from one embodiment to the next. The coherence or integrity of personal identity over time would, they argued, fall apart just as a necklace of pearls would scatter across the floor if one removed the string (i.e., the aatman) that linked together all the separate parts. And not only was any theory of ethical justice, of karmic reward and retribution, at stake—without a secure basis for karma, the whole soteric enterprise would be meaningless as well. For the future liberative outcome of one’s present spiritual practice would not be secure. Nothing would guarantee that the positive benefits of spiritual practice performed today would accrue to the same individual later, within the same or subsequent lifetimes. Among the various new soteriologies emerging during the Age of the Wanderers, the necessity of some aatman-like essence or soul was a virtually ubiquitous assumption. Yet the Buddha asserted that the supposition of such a notion of essential self-hood was as false as it was unnecessary. He did indeed recognize the necessity of securing the integrity of karmic efficacy, but he felt that positing an essential aatman was too high a price to ensure the continuity of the self, a price not only unwarranted, but even detrimental to attaining the soteric goal as he understood it. The liberation he had realized was, in his view, so utterly transformative, that it could only be obstructed by clinging to any view of a "self," especially one that posited a core or essence that was not subject to change—and hence not subject to transformation. The integrity of personal identity and of ethical efficacy, required not some substantial permanence, he asserted, but only the continuity of the karmic conditioning itself. Herein lies the crux of the Buddhist conception of the self, and we can understand the Buddhist notion of how the self is related to its environment only if we fully appreciate the implications of this conception of the self.